Do you find, at times, that you jump to the wrong conclusions causing an inappropriate reaction before letting a conversation finish? Do you find that those reactions are consistently having a negative effect on your relationships and communications with others? Do you often believe that you are right without considering the possibility that there may be more for you to learn? When you close your mind from empathizing, understanding, considering and/or acknowledging other points of view then you cut yourself off from your own evolution of personal growth. Not only does this prevent you from developing your soul but it stagnates your relations with others as they continue to grow and evolve with others that share their interests. We all want to connect, we all want to be heard and we all want to be acknowledged. When you disregard another person’s feelings you are rejecting their right to have a voice, you are suppressing their concerns and most importantly you are negating their pain. Respect is not only those around you (like the waiter, the clerk at the store or someone down on their luck) but the items you use in your daily life, everything is energy! If you were to abuse your vehicle, an appliance or your home eventually they would begin to deteriorate. Nature and our environment thrive on the generosity of our respect, for it is all living energy that requires nurturing and without that becomes listless and dies, some damage irreversible. Appreciation for every experience, lesson and opportunity can provide you with a renewed sense of insight. Not just the good but sometimes even the worst experiences lead us onto a better path and usually with a stronger of self and clarity. It may be that your purpose is connected to one of those experiences. Lessons are also an essential part of life, not everything can be gained from the knowledge contained in books, first-hand experience is the best teacher you will ever have, sometimes not the most favorable but usually the most effective. All opportunities are gifts, ones that shouldn’t be refused because they look like work or aren’t as appealing to the eye as you’d like. Gratitude (noun): the quality of being thankful; readiness to show appreciation for and to return kindness. 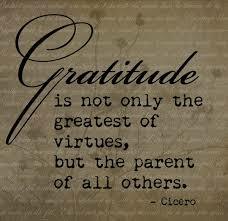 Is gratitude something you do occasionally or how you live? 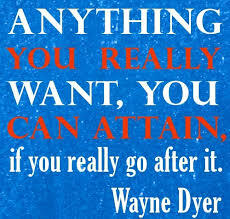 Is your gratitude based only on what you receive from others or are you grateful for their mere presence in your life? Do you only at times offer the words to express that gratitude or is it something you believe is just known by those around you? Without gratitude you lose the whole purpose of your journey, without respect you lose yourself. You can’t change what you don’t acknowledge!